A Big Weekend in Our House – What's for Dinner Moms? Sunday is the day I usually talk about my family. This past weekend has been a whirlwind in our house. 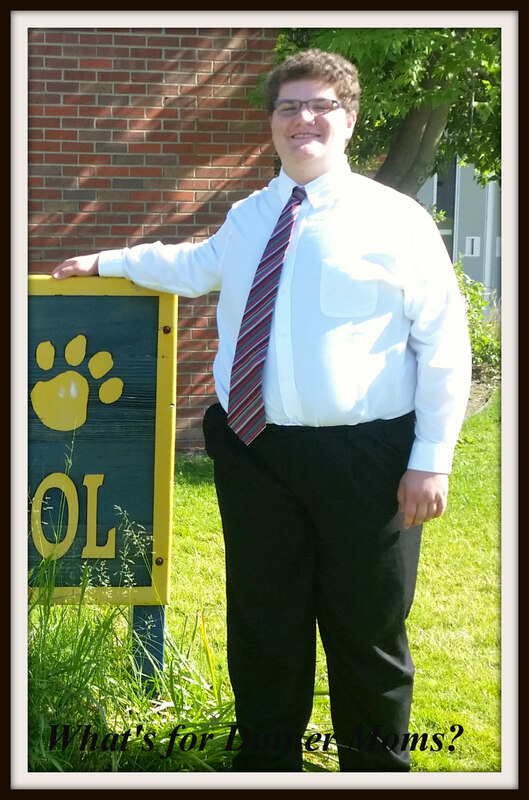 Friday night my son had his 8th grade “Farewell.” They don’t say graduation in our district except for 12th grade. I like that. In 5th grade they do a “Walk Away.” All the 5th grade students have a special breakfast and ceremony followed by the whole school gathering up and down the walk way outside of school. It is lined with balloons, parents and family and the entire school on both sides of the sidewalk. The 5th graders walk, or run, down the path as everyone cheers, high fives, and celebrates their accomplishments. Very age appropriate. Then in 8th grade as they move on to the high school they have a “Farewell.” It is a special ceremony where all they have done during their middle school days are acknowledged. All the families and friends gather to cheer them on. The band, orchestra and choir all perform two songs. Then the eighth graders have a special dance with games, photo booth, and lots of food! Again, very age appropriate. So, this year was my son’s Farewell. When he started 6th grade his Autism had him so anxious that before school even started we were walking him through the halls of the school every day so he could familiarize himself where all his classes were, where his locker was, and who all the teachers were that he would be meeting. Even then the first 6th months of school it was really rough. But, last Friday he stood up in the ceremony and sang a solo, in front of the entire crowd and school, with the choir. He played his cello with the chamber group and orchestra. He received three awards – one for participating in Science Olympiad (a regional winner for the past eight years) for the past three years, a Presidential Excellence in Education Award, and for Academically Talented Youth Program (ATYP) for completing 9th and 10th grade Honors English this year. We were and are incredibly proud parents of all his accomplishments. 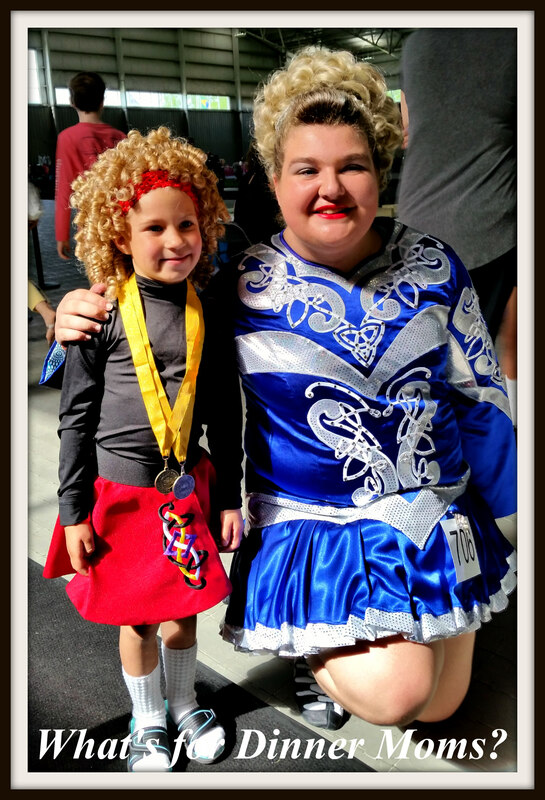 Right after the ceremony my daughter and I then headed out so that she could dance at a Feis in the Detroit area the next morning. She also had a big breakthrough this weekend but it wasn’t in her dancing. She is now one of the “older girls” at the school. The dance teacher is trying to have the girls step up this year because she can’t be at every Feis, start every class while talking to parents, and do private lessons for all the girls. My daughter has been helping in the beginner class this year and absolutely loves it. She is learning how little kids think and talk. She has started giving private lessons to one 5 year-old who competed in her first Feis this weekend. The girl was the only one in her competition but she made it through and remembered her whole first step! Believe me this is a huge accomplishment. She got her participation ribbon and ran off stage right to my daughter. When she went to pick up her two medals for her dances she told my daughter that one was for her and one was for her little brother. I thought my daughter was going to melt at how sweet this little girl is. I pointed out later to my daughter how the little girl ran to her, not her parents who were also right there. For the rest of the morning her parents couldn’t keep her away from my daughter’s side. After she was able to watch my daughter dance her reel she ran up behind her as she walked off stage and hugged her. They walked hand in hand to get her new dance shoes while her parents trailed behind. My daughter realized as she went on stage at one point that the judge they had changed to for her next dance was a judge that has placed her last in every competition she has judged since 2013. My daughter felt defeated for a moment but picked herself up and danced anyway. I wish I could say this was like one of those cheesy movies where the kid wins in the end and gets the first place. She finished last. But, she kept going back out and for her last dance I looked at her and told her, “You can’t change her but you can change you and how you react to her.” She went out and danced her horn pipe so that she had nothing left in her by the end. She did her best and it just wasn’t enough. She did get a second in reel and a third in treble reel but still finished last in the four dances that judge scored. She was very disappointed for about 15 minutes. After a bit she was able to take a step back and say “But, I loved walking around and talking to the other dancers and their parents. They asked me questions about how things run or what they need to do. I gave hugs and high fives to dancers. That is what was great about today.” On the drive home we talked about sometimes it is not about the dancing but something more that we are learning about ourselves and others. She could smile and say I know I helped them today. She will go far. No, she may not be a world-class dancer but she does what she loves and is finding her niche within that group. It has been an emotional and wonderful weekend, so far…. Previous Post Do You Have a Leftover Meal? It was wonderful going through you narration. Congratulation for your both the children achievement. God Bless!!! At my daughter’s elementary school they do a six grade clap out…….the rest of the school lines up along the sidewalks(they have open campus) and as the kids walk towards the main gates, the rest of the kids clap for them. Usually, by the time they reach the gates, they are all crying! Your daughter is rich and wise beyond her years. Tuesday a new book is coming out called Find Your Whistle. I think it would be a great read for all of us. Chris Ullman is the author. I found it on Amazon. Stupendous accomplishments! My congratulations to all! You have a wonderful family. How proud you must be Marci! They have accomplished so much, yay! Thank you. I am very proud of both of them. That is awesome. Your son is going to high school. How are you coping? I would be freaking out? I like that they say farewell. You make motherhood look easy. Thank you so very much, Lynn. Such a special family Marci!